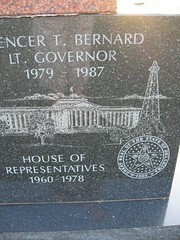 Spencer Bernard was Oklahoma's 11th Lt. Governor, he was an author, and a peanut farmer. 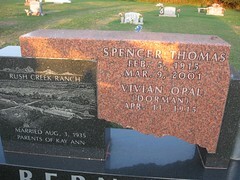 Vivian Opal (Dorman) Bernard, wife of Former Lt. 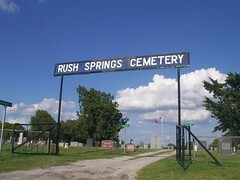 Governor Spencer Bernard,passed away Feb. 1, 2009, she was buried in the Rush Springs Cemetery Feb.4, 2009.